The local Dublin City Recovery serves you within 30 minute response time in most areas of Dublin. The closer the cheaper. Call us now! 10 tow vehicles on the road, tilt and slides, spec lifts, car park units, service cans and a fuel recovery unit. All of the vehicles are equipped to deal with breakdowns as well as recoveries, so they all have one readers, lockout kits, jack's, toolkits, booster packs, fuel cans, water cans etc. AA, RAC, AIG, PAS343:2015 approved. Fully insured for public liability, good in transit etc. All of the drivers are trained to PAS43:2015 standard and carry i.d. All of the drivers are uniformed and fully licensed. Your review helps to choose cheap towing and roadside assistance services near Dublin. Click an icon on the map and get a phone number of the closest wrecker service near Dublin! 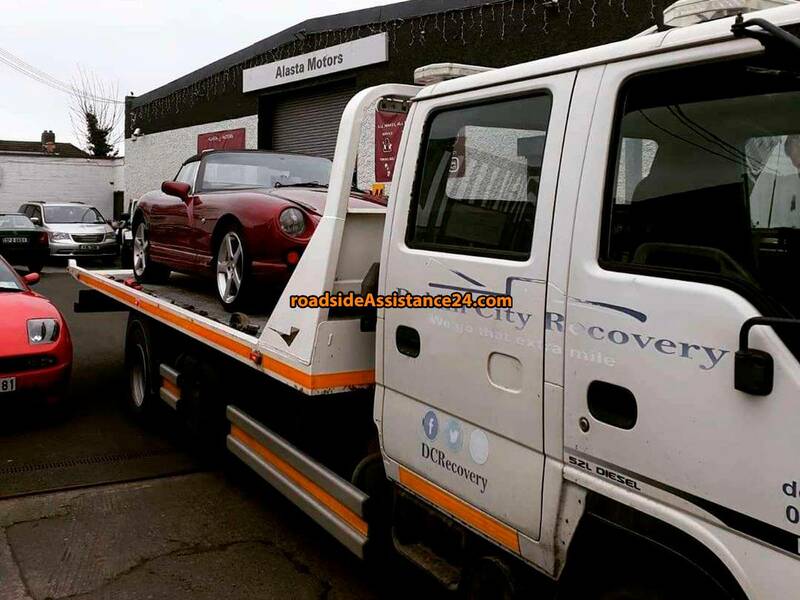 Install mobile application Roadside Assistance 24 and get the phone numbers of the closest towing and roadside assistance services near Dublin.